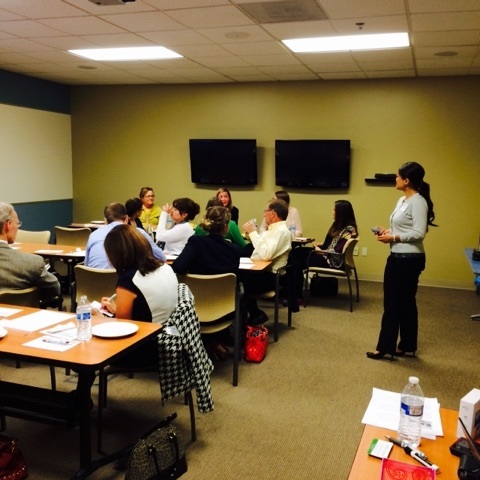 On January 20th, 2015, Christine Davies, Managing Director of Casa Companion Homecare Solutions, presented a Lunch & Learn seminar to an audience comprised of members of the San Diego HR Roundtable community. 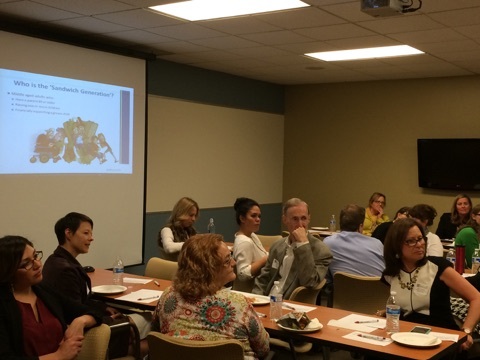 The topic, “The Sandwich Generation and Working Caregivers: How HR Can Guide Employees Caught in the Middle”, drew a sold-out crowd to SDHR’s first Lunch & Learn seminar of the year. 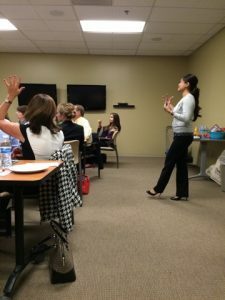 Christine, a certified Senior Professional in Human Resources, delivered valuable information from her unique perspective of a long career in global human resources and her work in San Diego homecare. Savvy employers are looking for ways to support their Sandwich Generation employees, because as the pressure grows, a significant percentage of these workers decide to leave the workforce, taking their knowledge and experience with them. Members of The Sandwich Generation are middle-aged workers who are raising one or more children, who have a parent over 65, and who are financially supporting a grown child. Forty percent are providing emotional support, and an additional fourteen percent are giving financial assistance, to both the parent and the grown child. Sixty percent of family caregivers are employed, and almost half of all workers over 50 are caregivers to someone in their life. The financial burden of caregiving is oppressive – an estimated $324,000 dollars lost by leaving the workforce early due to the responsibilities of caregiving – and falls heaviest on women, since 66% of all caregivers are female. Remaining employed is important both financially and emotionally for the caregiver, and allows employers to retain their veteran and knowledgeable employees. Christine’s presentation offered many strategies and resources for human resources departments and managers to reach out, connect and support the Sandwich Generation workers on their teams. Read Christine’s entire presentation and download the slides for your own reference from SlideShare. Christine’s main advice: 1. Have the conversation 2. Demonstrate flexibility 3. Embrace caregiving as the new normal and 4. Keep caring for the caregivers. Christine Davies joined the board of San Diego HR Roundtable in 2012 when she was the Human Resources Manager for Glanbia Nutritionals. SDHR is a close-knit community of corporate HR practitioners dedicated to helping each other by sharing key information and resources, and offers a membership experience that differs from that of the other HR organizations in San Diego. Membership in SDHR is only open to HR professionals and practitioners who manage or support the human resource function at companies located in San Diego, CA. 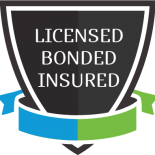 Members are encouraged to network and share information freely, and are able to do so in an environment kept free of solicitations. One of the unique and valuable resources offered to SDHR members and the wider community are the monthly Lunch & Learns, which are seminars on topics relevant and important to HR professionals. 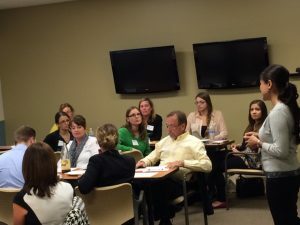 As SDHR is HRCI-accredited, seminar and workshop attendees receive HRCI continuing education credits, as well as valuable information on topics that support their success in their jobs.